PTC is a leading company which specializes in designing and manufacturing a wide range of vibratory hammers for piling equipment. Since 1928, PTC has specialized in developing vibration techniques, and has played a leading role in the development of the vibrodrivers. The PTC H & HD series hydraulic vibrators are extremely rugged and are primarily used for driving and extracting sheets piles, castings and profiles. 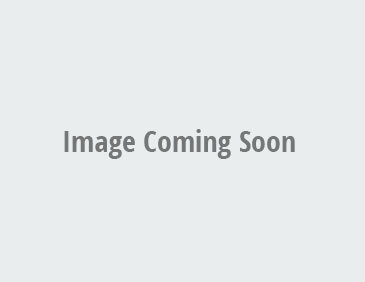 These heavy duty machines provide excellent performance and precision. These PTC tough and rugged vibrodrivers are economical and intermediate in size range, requiring less powerful power packs than High Frequency Vibrodrivers. The HV series keeps vibrations under standard thresholds of maximum soil particle velocity. 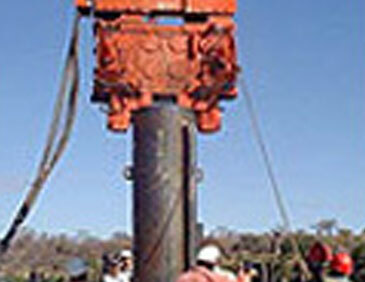 High frequency vibrodrivers reduce the friction between the soil and the piles. 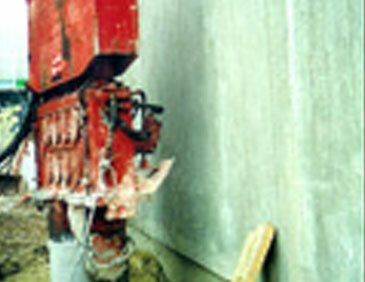 The vibration from the HF Series vibrodriver allows easy extraction of the pile by pulling on the excavator arm. PTC's extremely durable patented HFV system is designed to start up and stop without any vibration. The vibrations transmitted to the environment are reduced to a minimum, allowing operation near sensitive areas including city centers, historical buildings, or close to delicate equipment. 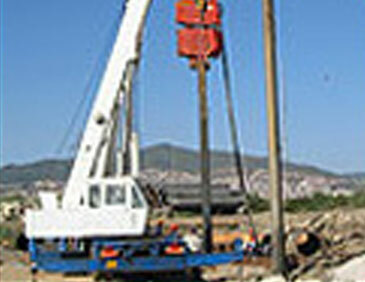 PTC offers a wide range of clamping heads which firmly clamp the pile or casing being driven or extracted. 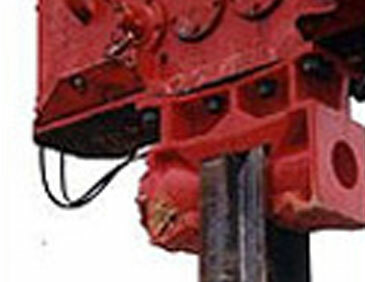 The clamping heads must be adapted to the size of the vibrodriver, as well as to the shapes of sheet pile, profile or casing. 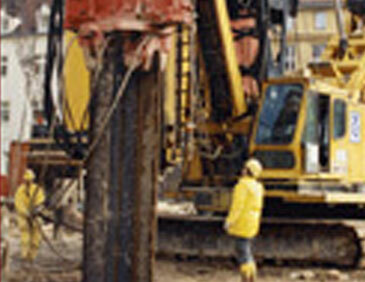 The functionality of the vibrodriver consists of the vibration of profiles, sheet piles or casing to drive or extract vertically, which causes the adjacent ground to shift.